20 Minute Teriyaki Shrimp. Made with a homemade teriyaki sauce! A super easy meal for a busy weeknight! 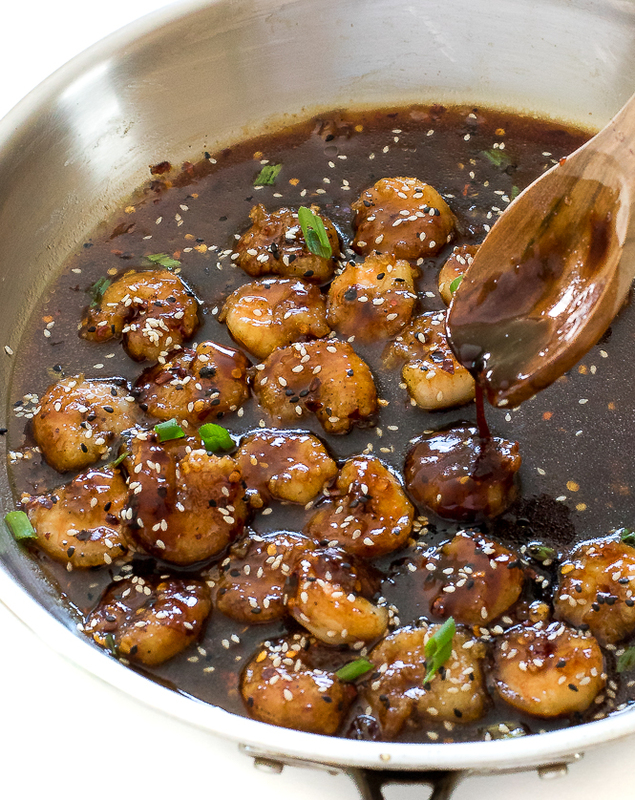 This 20 Minute Teriyaki Shrimp is the perfect weeknight meal. It comes together in minutes and is so delicious! I start by making a quick homemade teriyaki sauce. It’s much easier to make this at home and control the salt and sugar levels. I used the same homemade teriyaki sauce as my Easy Teriyaki Beef Meatballs and my Teriyaki Baked Salmon. 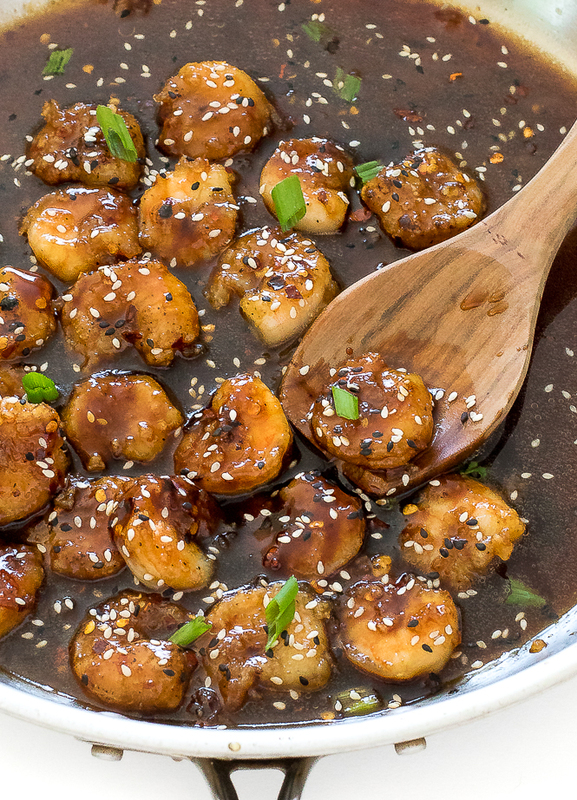 For the homemade teriyaki sauce I combine soy sauce, water, ginger, garlic and brown sugar. The sauce gets nice and thick with a simple cornstarch slurry (1 teaspoon cornstarch + 1 tablespoon cold water). Serve this 20 Minute Teriyaki Shrimp with a side of steamed veggies and rice to make it a meal! These would also make an awesome appetizer! Enjoy! 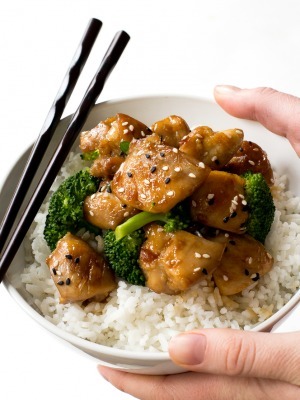 Add garlic, ginger, soy sauce, water, brown sugar, vinegar and sesame oil to a medium saucepan. Bring to a simmer and cook for 2-3 minutes. In a small bowl whisk together cornstarch and water. Slowly whisk in the cornstarch mixture into the saucepan. Simmer whisking constantly until sauce has thickened up, 1-2 minutes. Meanwhile, heat olive oil in a large skillet. Add shrimp and saute until fully cooked. 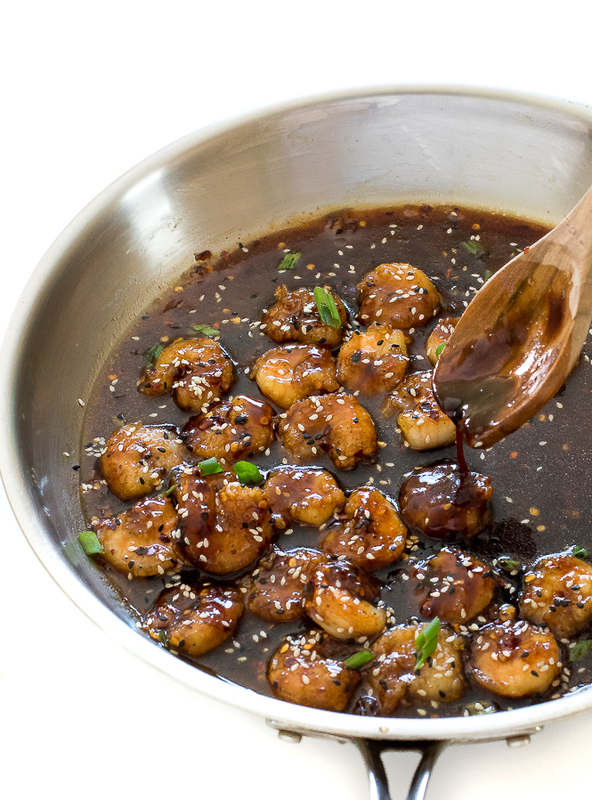 Add teriyaki sauce to the shrimp and toss to coat. 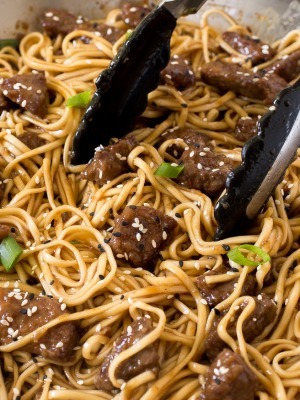 Serve immediately with green onions and sesame seeds, if desired. This really is a quick and delicious recipe. 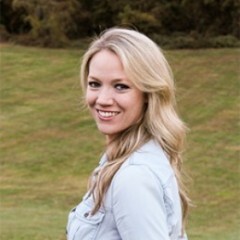 I will use this as one of my favorites.